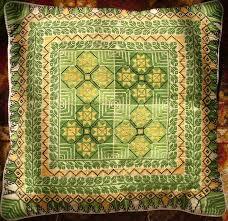 Embroidery is similar to adding new life to your clothes. Every time in history people have made an outrageous effort to make their clothes attractive, so they opted for embroidery by using manual tools but the advancement of machinery has revolutionized the scenario and much effective techniques of embroidery have developed over the time period. In the textile industry, quality can never be kept at stake. Outsourcing of embroidery designs would help to deliver your customers a quality oriented service. There are companies out there who are professional in providing solely digitizing services and who would not compromise with the quality at any cost. This would prove out to be fruitful for you as you stay confined in delivering a fine piece of art to your customers. In order to keep your business going you must have the art to manage the blood of the business, money really well. Outsourcing the digitized embroidery work would help you cut off the expenses of hiring employees, wasting of resources to train them, pay wages and moreover take constant pressure to guide them and monitor their work. The outsourcing would lower your expenses exponentially. When you outsource your embroidery designing work to a dedicated agency, they are the ones who are completely focused to one work that you have given to them. This is not merely beneficial in terms of focused and quality work but they have the pressure to deliver you the work in a timely fashion. This proves out to be better for you as it helps you maintain healthy relations with your clients. When you handover your work to a team of expertise, you lower the chances of exposing yourself to risk and producing a design that a customer won’t accept. In such a sensitive business, where risk is at high rate and you are at the verge of a growing business, no other alternative can be better than outsourcing your embroidery design is the best alternative. If you want to expand to your business growth, the best available option is to cut off the chances of failure from the root of it. Outsourcing of embroidery designs can prove out to be fruitful for your clients as well as you. On one hand your clients will be exposed to numerous options such that it would introduce diversity for them whereas on the other hand it would take up your business productivity to a whole new level. Outsourcing embroidery designs can help you introduce efficiency in your business. When you outsource your embroidery designs you can take time to lay focus on other business policies. If you own a business, outsourcing of embroidery designs is something that would take your overall productivity and profits to next step. In order to own a healthy, growing business, outsourcing embroidery designs can help you perform better in the longer run.